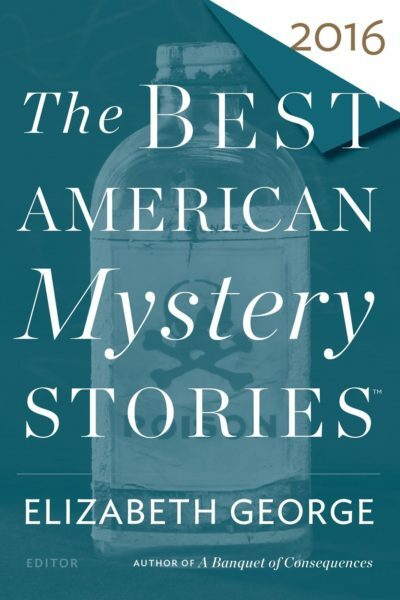 “Rearview Mirror,” the opening story in my novel in stories On the Road with Del & Louise, was selected by Elizabeth George and Otto Penzler for inclusion in the 2016 Best American Mystery Stories anthology—a dream come true. The full table of contents for the 2016 BAMS includes stories by Megan Abbott, Steve Almond, Matt Bell, Bruce Robert Coffin, Lydia Fitzpatrick, Stephen King, Elmore Leonard, Evan Lewis, Robert Lopresti, Dennis McFadden, Michael Noll, Todd Robinson, Kristine Kathryn Rusch, Georgia Ruth, Jonathan Stone, Susan Thornton, Brian Tobin, and Saral Waldorf. Published by Houghton Mifflin Harcourt, October 2016.